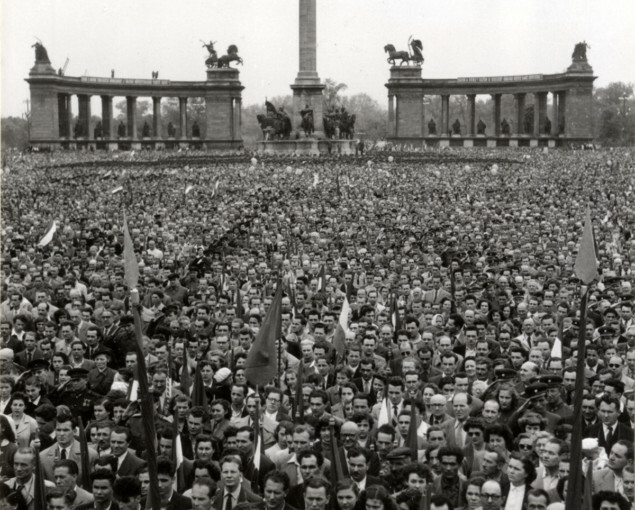 Az 1956-os forradalom leverése után fél évvel Kádár János kormánya május elsejére nagygyűlést hívott össze a Hősök terére. A hatalom első nagy tömegrendezvénye volt ez az 1956-os forradalom leverése után, így egyáltalán nem volt mindegy, hányan és milyen hangulatban jelennek meg a Hősök téri dísztribün előtt. A tömegdemonstráció a “forradalmi munkás-paraszt kormány” megszilárdult hatalmáról árulkodott, s rövid úton a rendszer egyik kedvelt legitimációs hivatkozásává vált. A tribünön két jelmondat volt: “Éljen a Magyar Szocialista Munkáspárt, a magyar nép vezető ereje!”, “Éljen a béke, éljen a békéért harcoló népek harci szövetsége!”. Rákosi és Sztálin arcképe helyett a felvonulók már Kádár Jánosét és Dobi Istvánét, az Elnöki tanács elnökéét vitték. Ez a nap egyébként a Magyar Televízió hivatalos születésnapja is, innen adta az MTV az első élő közvetítését 4 kamerával, az újonnan Angliából vásárolt közvetítőkocsi segítségével. Kádárék törekedtek arra, hogy a zökkenőmentesen lebonyolított nagygyűlést igazi propagandasikerként kamatoztathassák. Lemondtak arról, hogy a résztvevők számát megtippeljék, a félhivatalos tudósítások legfeljebb 300 ezerre becsülték, s ehelyett fontosabbnak ítélték az “új tavaszi seregszemle” vizuális megörökítését. Basically, the theme is tuned of the carnival season, but we also research the new ways of portrait depiction. We show the contemporary streams by a variety of genres works of art. There are video installations, graphics, photography, painting, sculpture, object work show that how deeply rooted in people the desire to change identity, how people try different personalities, how they try to hide to become more successful in private live, in career, or even only to change everyday monotony for a while. Winter solemnities are simultaneously exist the dying and resurrecting nature, the chaos and order , struggles, growing love, fertility and marriage motif, and the fortune and misfortune, the unpredictable fate, against we rebel in vain. 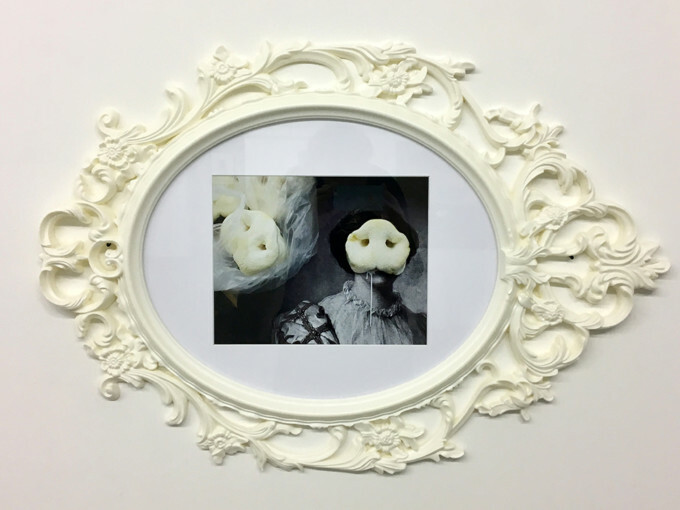 Vernissage: 16th February 2017. / 19:00 h.
Location: LATARKA Galéria / Budapest, Andrássy út 32. Open until 16th March 2016. Life Reform and Social Movements in Modernity 3. The exhibition will be opened by László Bass, sociologist, inventor of the game Szociopoly, after which the School for Public Life research group will give a presentation. The exhibition is on view from 26 January to 2 April 2017. Lajos Kassák, Angyalföld, Magyar Helikon, Budapest, 1958. A participation based exhibition by the Kassák Museum and the School of Public Life (Közélet Iskolája) surveying the struggles for housing from the beginning of the twentieth century until the political transition of 1989. It covers the common strategies of those involved, their practical methods for survival and their attempts at solutions and self-organisation. The work of Lajos Kassák was not confined to art, and he was active in many areas as a cultural intermediary and public figure. In 2012, with this in mind, the Kassák Museum launched a programme of exhibitions and research, Life Reform and Social Movements in Modernity, to provide space for presenting socially sensitive subjects and artistic projects. The latest in the series is Time for Action. Housing Movements in the 20th Century, an exhibition put on in collaboration with the School of Public Life community education and research centre. The exhibition has a direct connection with Kassák’s work. His autobiographical novel The Life of a Man includes an evocation of the world of overcrowded tenements and describes events of the time such as the struggle for universal suffrage, rent strikes, the 1918 Aster Revolution and the Hungarian Soviet Republic. Kassák wrote a whole book on the struggle of housing tenants called Angyalföld, quoted in the exhibition title. In 1928, he launched the journal Munka [Work], which focused on exposing social inequalities. The group that formed up around Munka worked for the emancipation of people living in poverty, and the exhibition presents photographs taken by its sociophotography section to document housing conditions of the time. The School of Public Life supports active social participation by people living in exclusion. In 2015, it launched a research project involving people living in homelessness and housing poverty. It studied the history of grassroots organisation aimed at achieving decent housing conditions by the standards of the time, focusing on the people involved and what they did. It also drew attention to comparable action that people are taking to address today’s housing problems. In order to reach the people who face the same problems today, a travelling exhibition displayed the research findings in social and community institutions and public spaces. Kassák Museum staff and researchers from the School of Public Life have been working together intensively for nearly a year – since January 2016 – on an exhibition that presents community action and self-organisation initiatives directed at current housing problems. The outcome is unusual in that what visitors will see is not a selection by museum curators. The exhibition concept and the way the documents are presented has developed in collaboration with researchers who have directly experienced homelessness. Our purpose was to let poverty be seen from the viewpoint of people living on the periphery of society, highlighting practical schemes for survival and historical examples of joint action and self-organisation. It is important to bear in mind that we had very few documents or photographs of the conditions in which poor urban families, unemployed people and casual workers lived. In media images, people living in poverty are often the objects of revulsion and pity, or regarded as exotic creatures. There have historically been few opportunities for people at the bottom of the social pile to record their experiences in photographs or diaries. Among the exceptions are photographs taken by Sándor Gönci in 1932 showing the life of a family living in a hovel in the outskirts of Pesterzsébet. 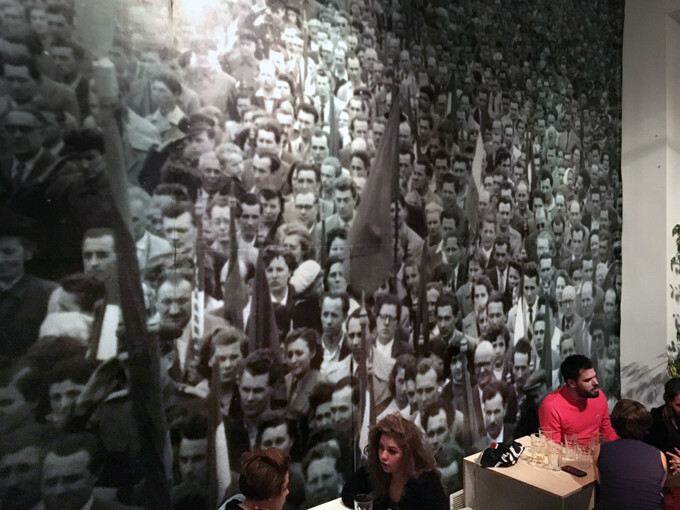 The mass squats of 1956 are the subject of an audio drama written in collaboration with the historian Eszter Zsófia Tóth and performed by members of the group who created the exhibition. The optimism of the political transition is evoked in a diary kept by András Nagy Bandó, with sketches of the people who took part in the demonstrations by homeless people in the winter of 1989/1990. Complementing the personal stories and material produced by those who were personally involved are pictures by photographers and other observers with sensitivity to social problems, including Károly Escher, János Müllner, Imre Benkő, Gabriella Csoszó and Krisztina Erdei.